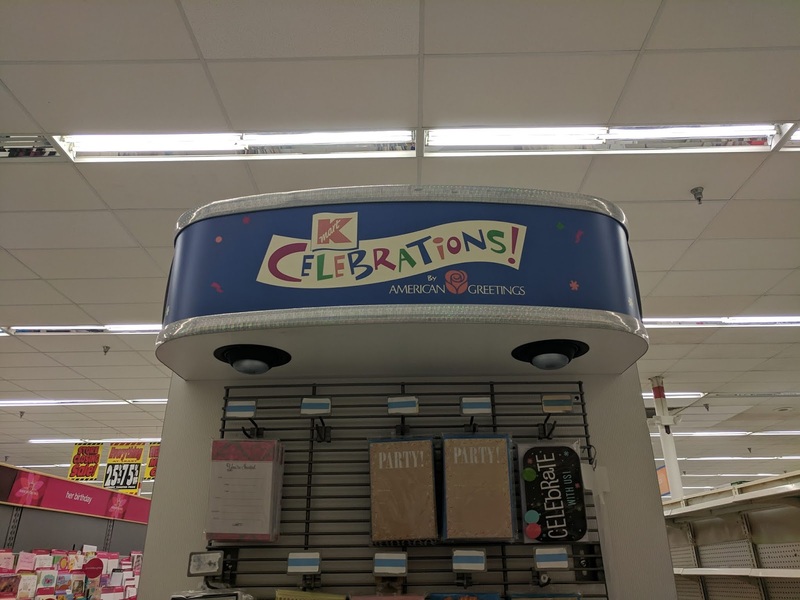 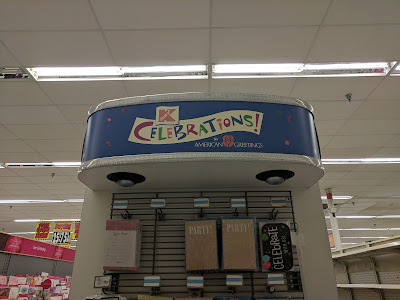 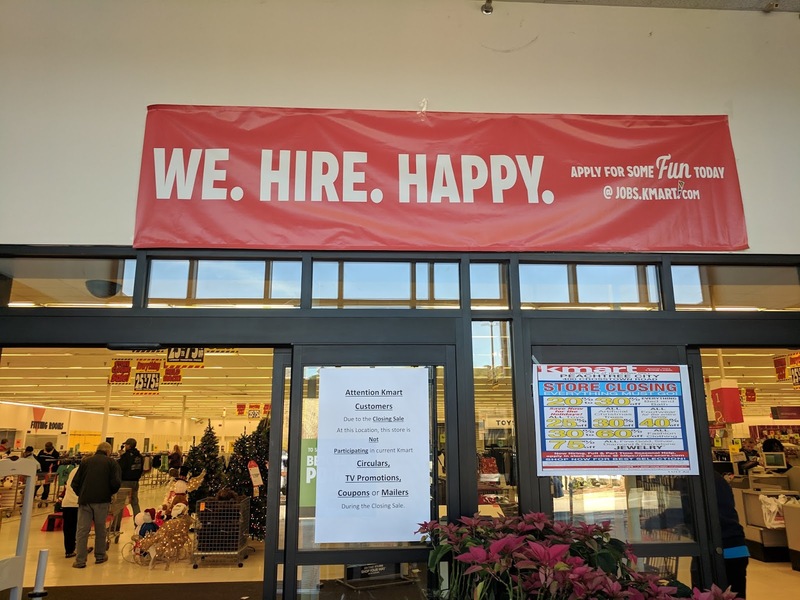 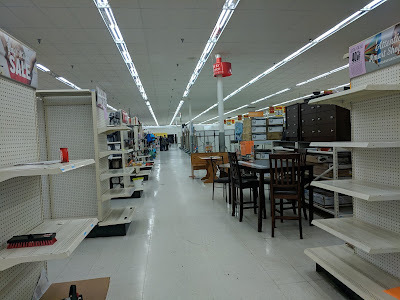 Hello and welcome to our first post of 2019 here at Kmart World! 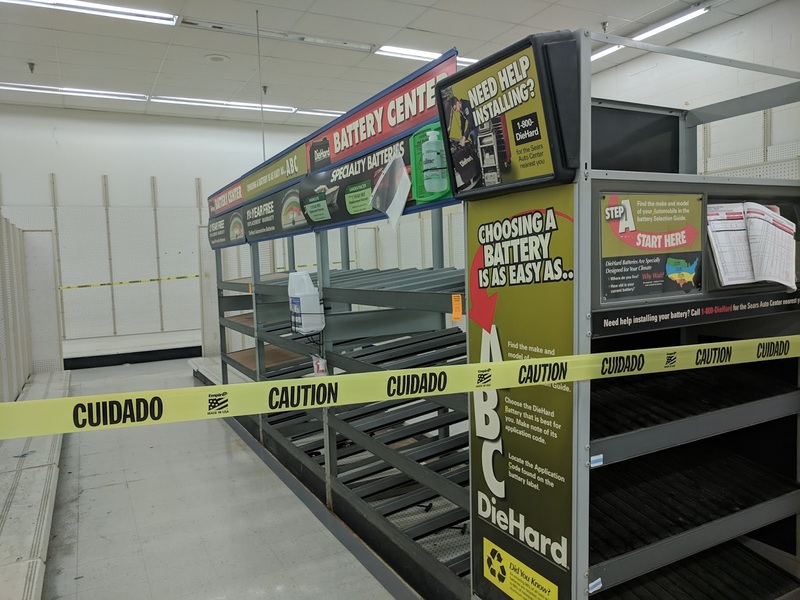 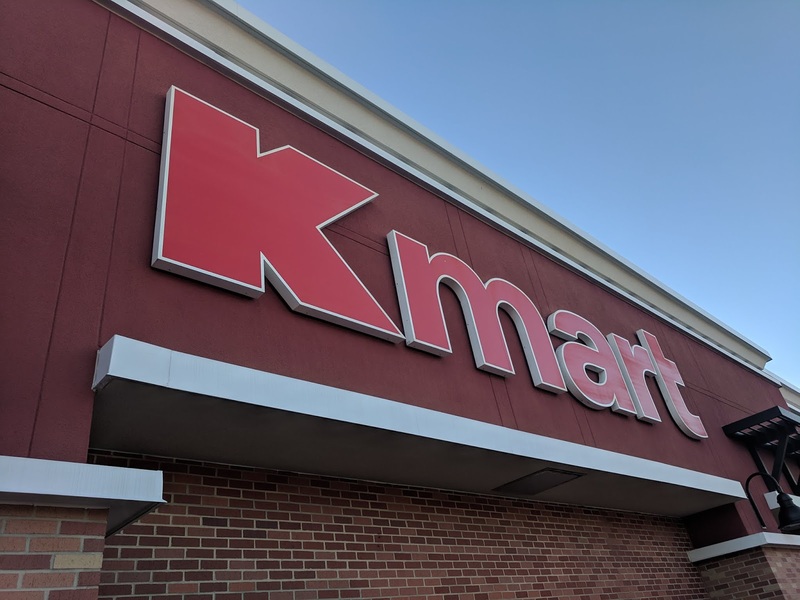 Since our last post we made, Kmart and Sears Holdings has gone through a lot of turmoil but they are hopefully now on a path to success. 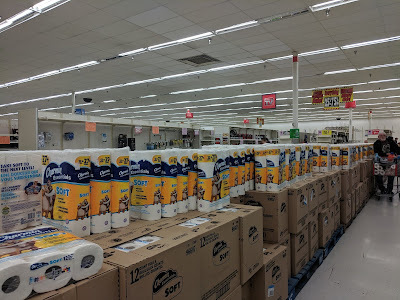 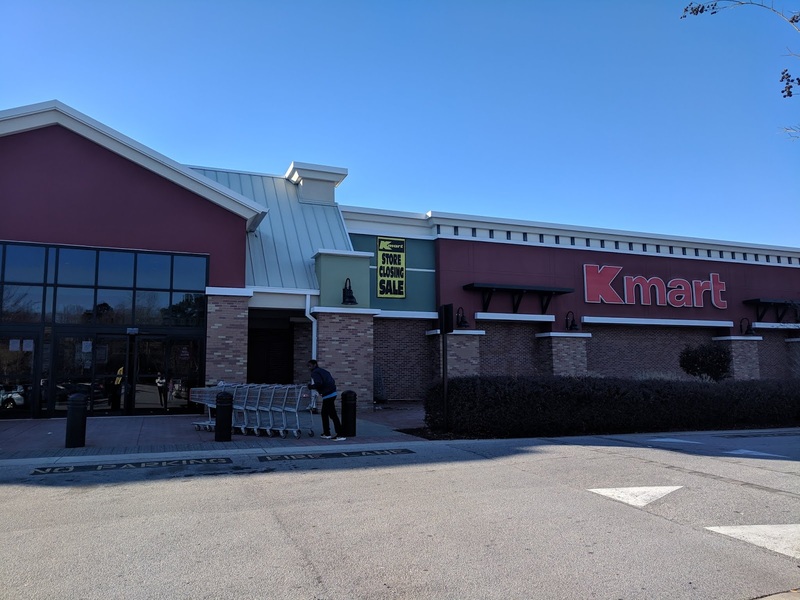 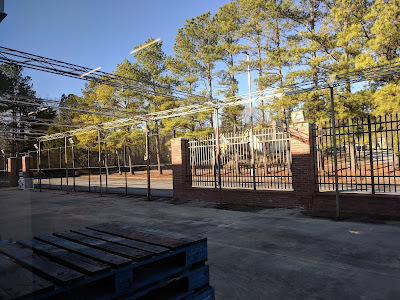 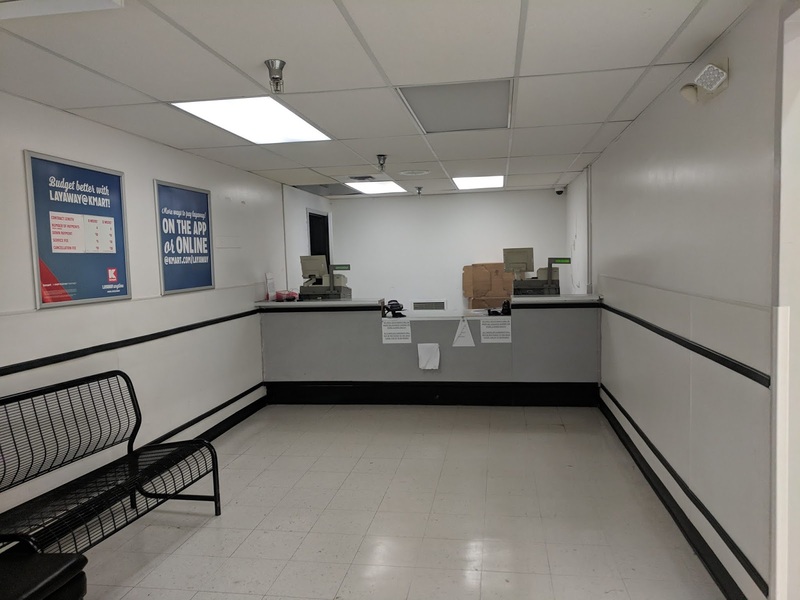 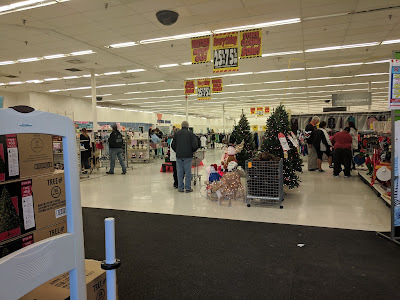 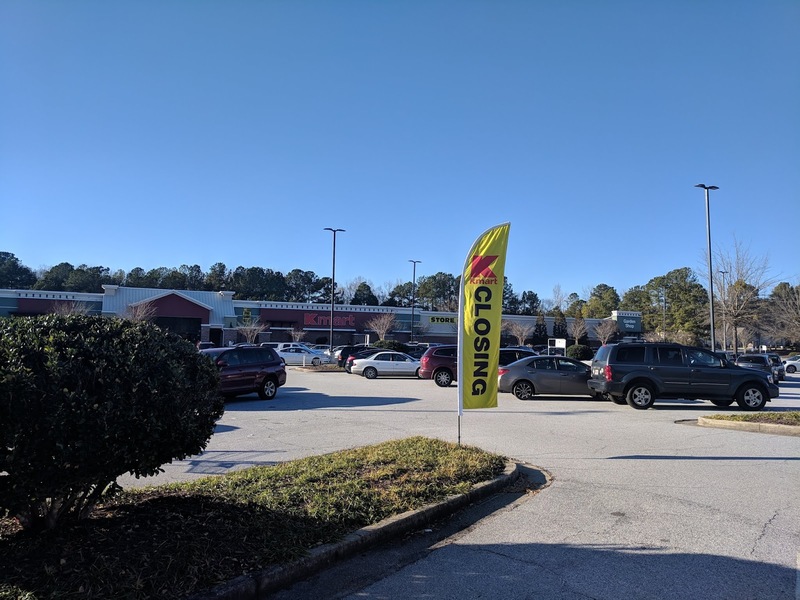 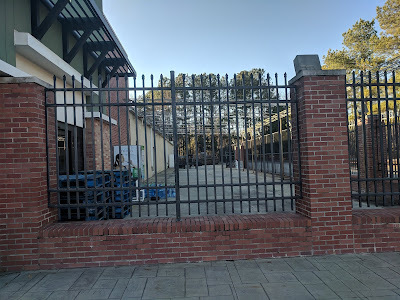 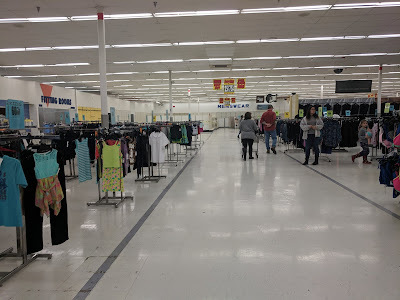 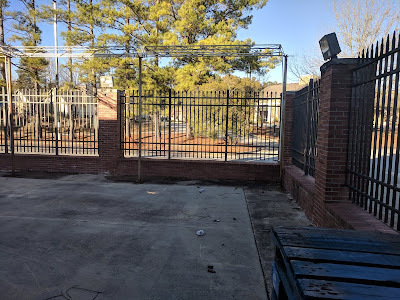 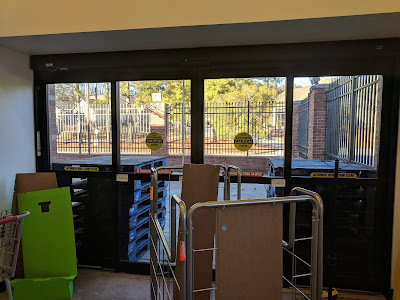 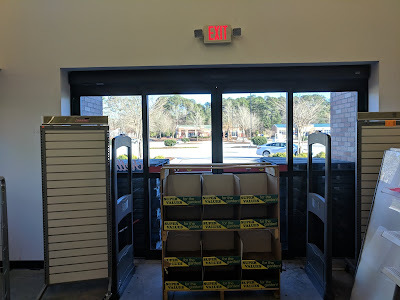 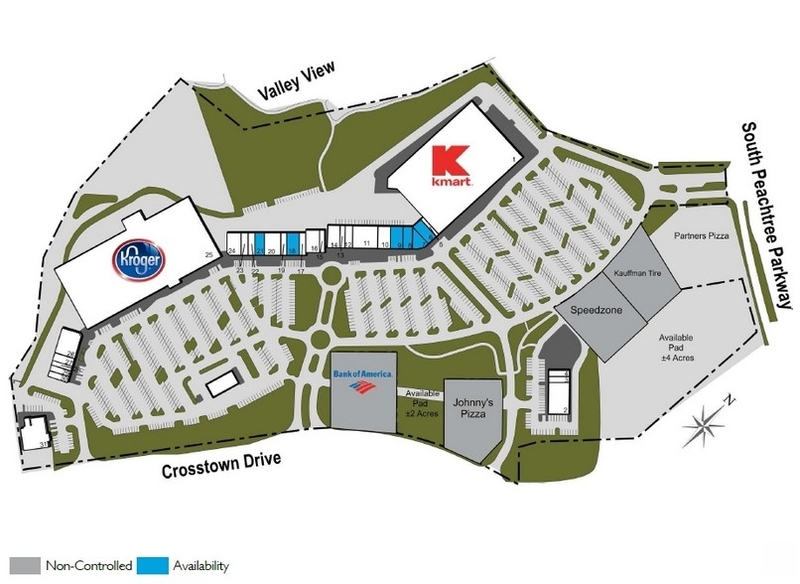 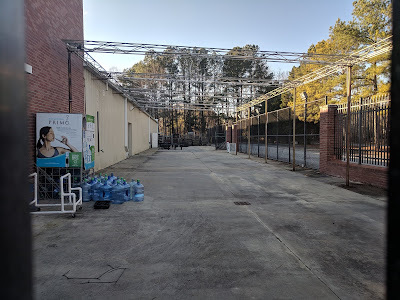 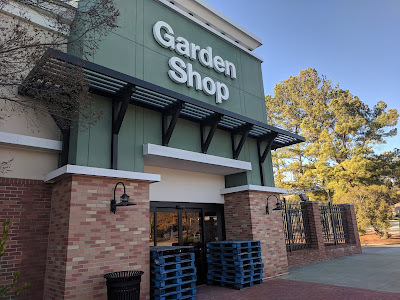 Today we are looking at the Kmart in Peachtree City, Georgia. 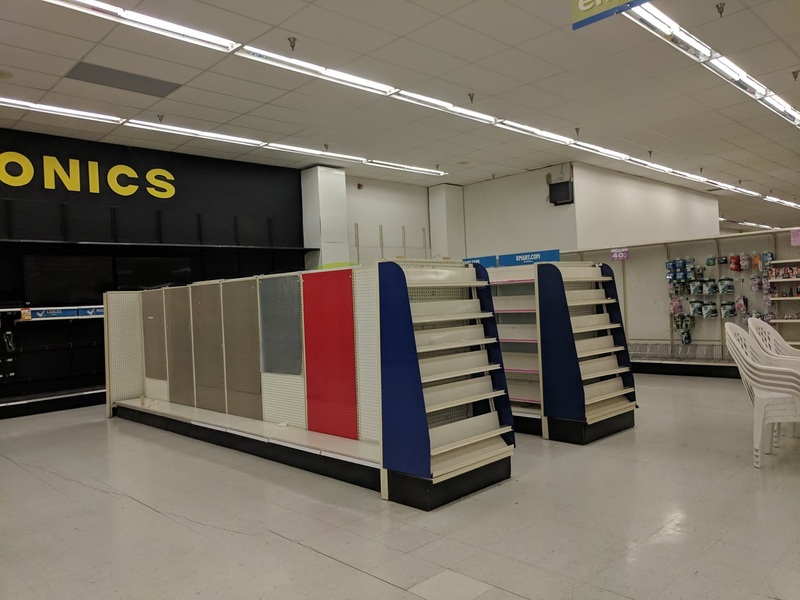 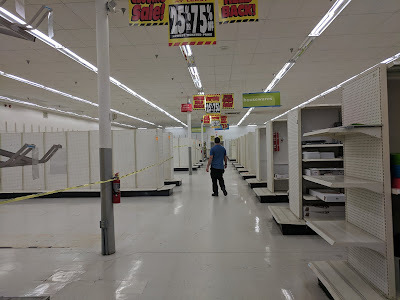 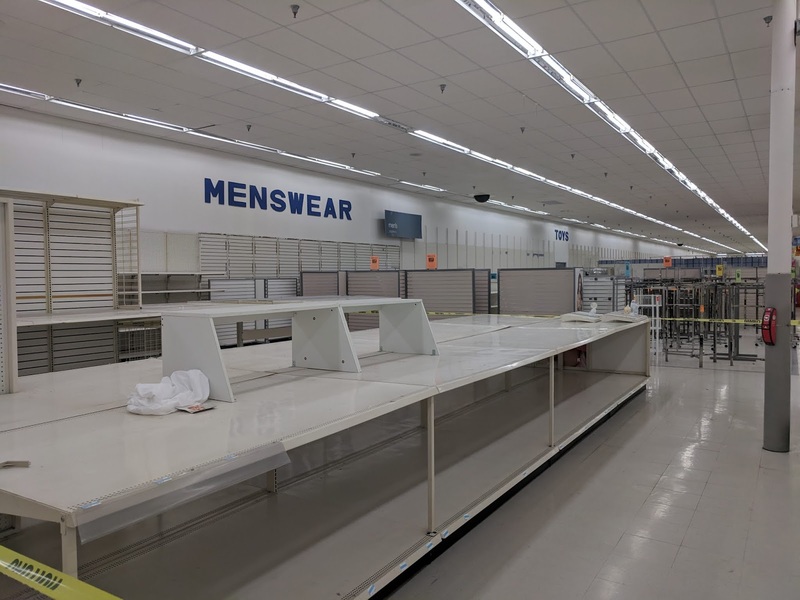 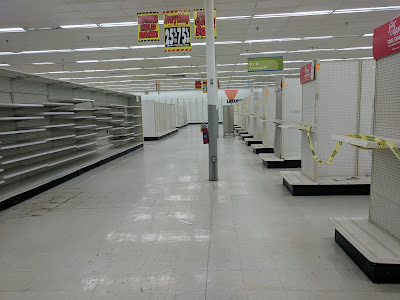 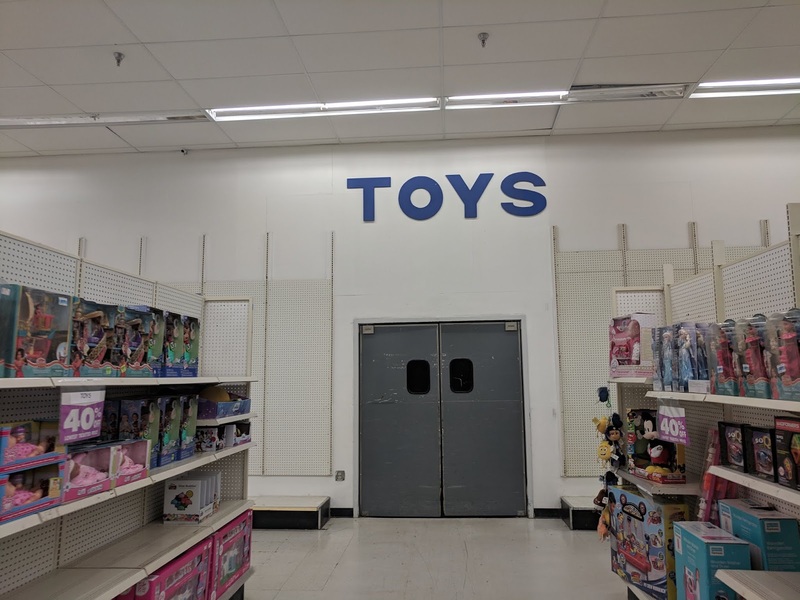 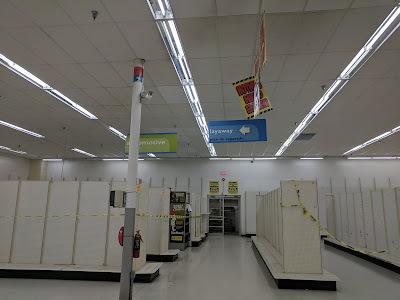 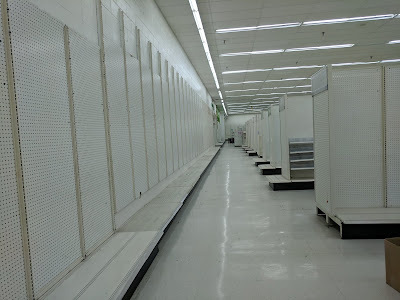 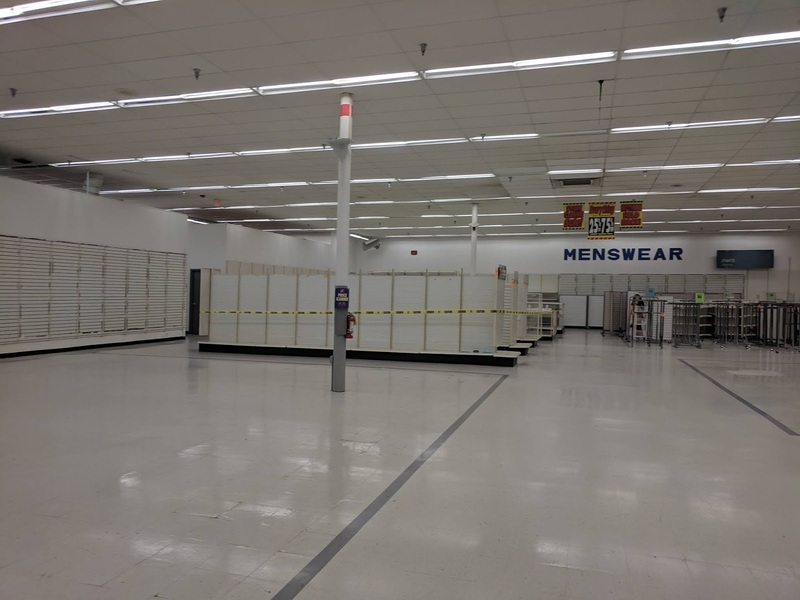 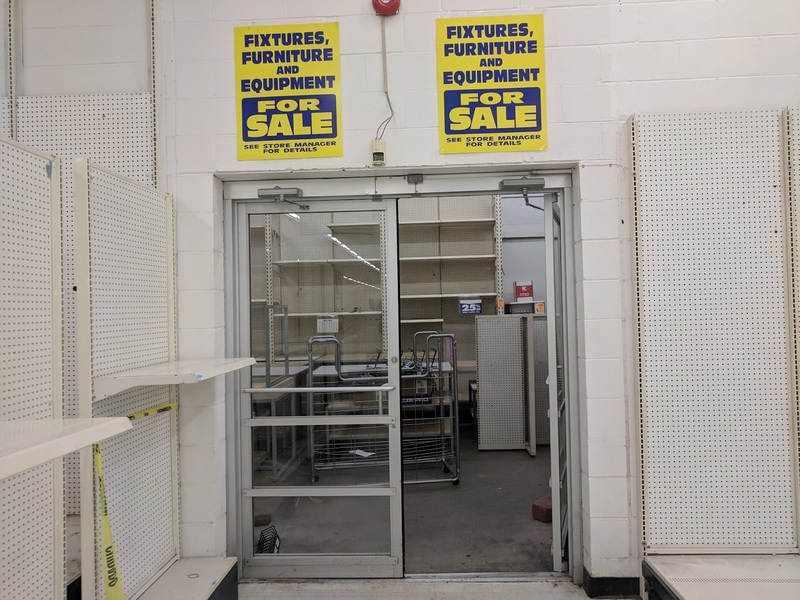 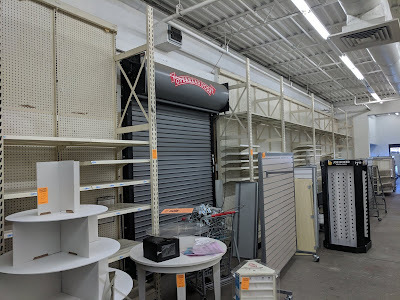 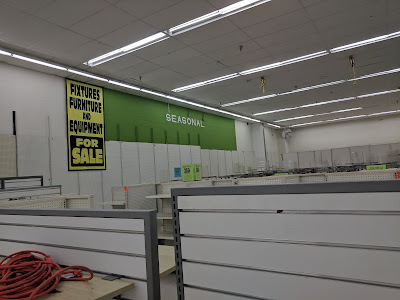 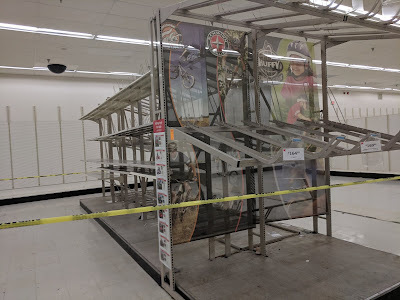 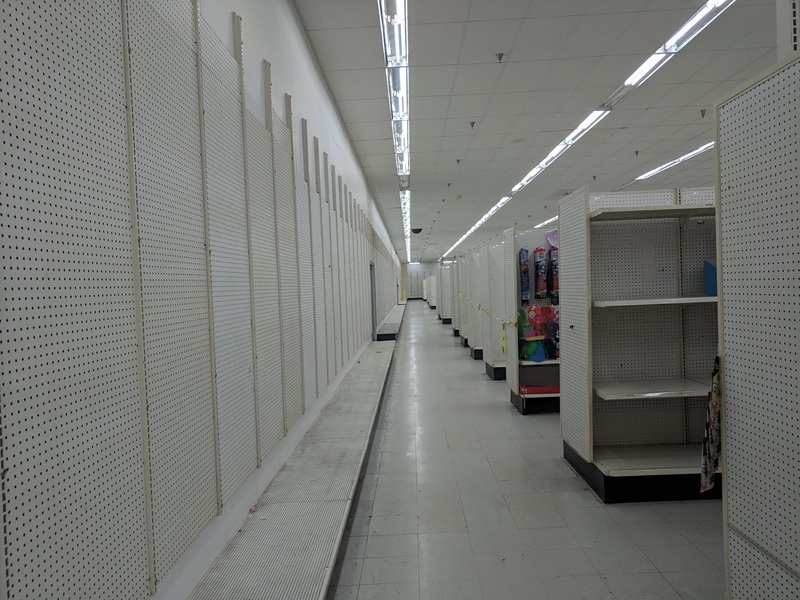 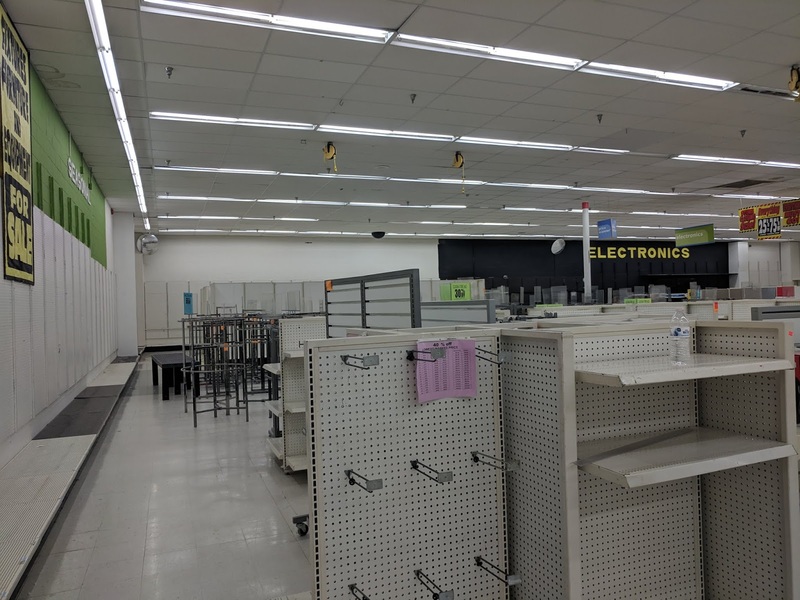 It was one of the last two Kmart locations left in the state of Georgia. Unfortunately both of the remaining Georgia locations are now closed, leaving none left in the state. If this Kmart looks a bit different to you on the outside, that's because it is unique to this location. 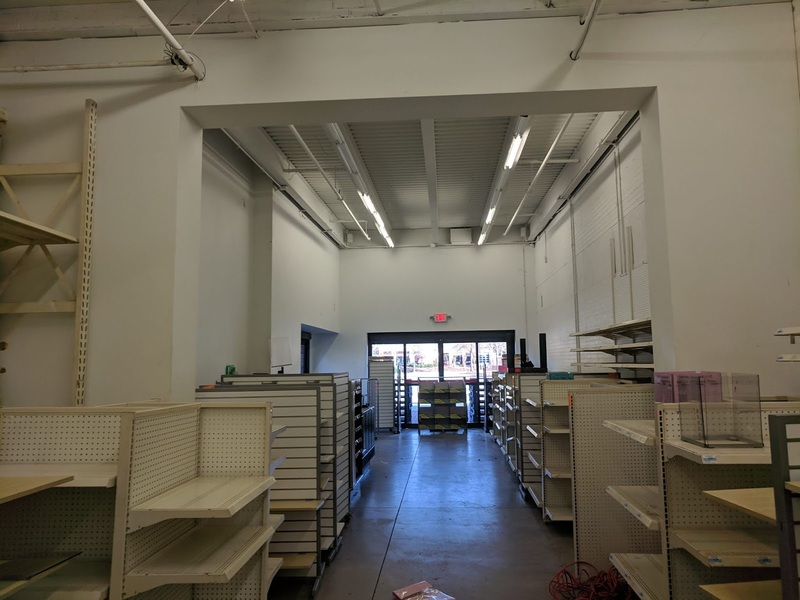 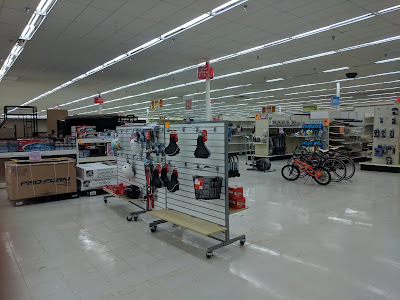 The exterior of this store was completely remodeled and redone in 2009. 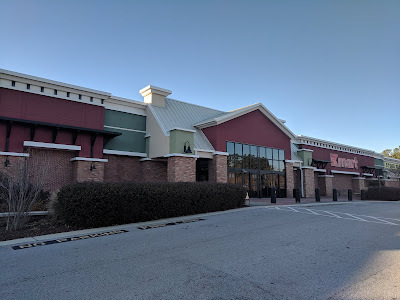 The store is located in an affluent area and this shopping center named Braelinn Village was remodeled to have an upscale look to it. 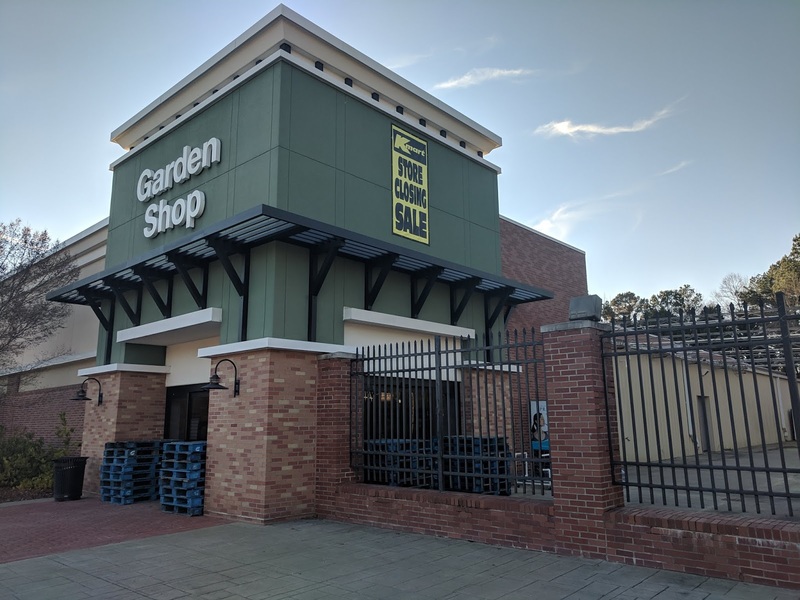 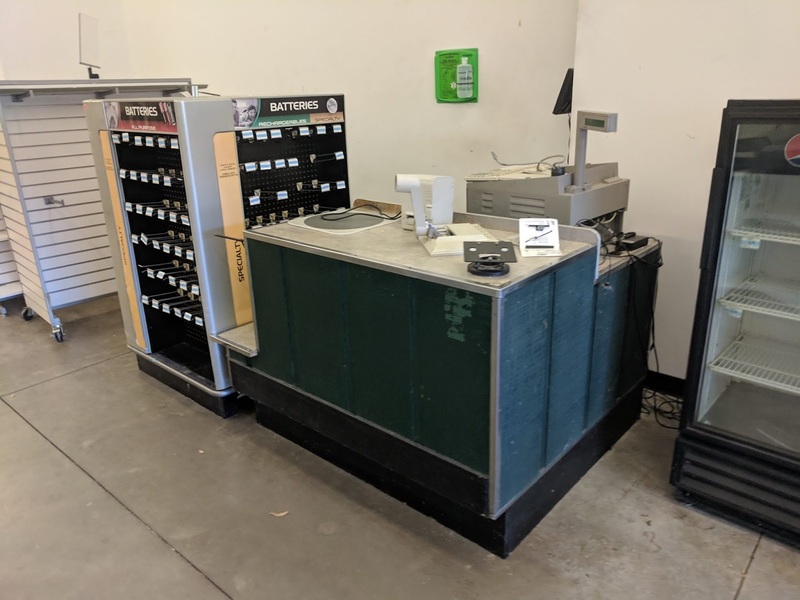 Over $7 million dollars was spent to remodel the shopping center including added pathways and parking spaces throughout the center for golf carts. 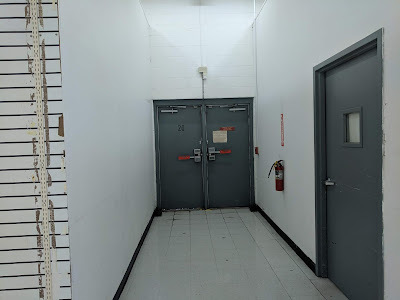 It took almost a full year to finish the renovations of the center. 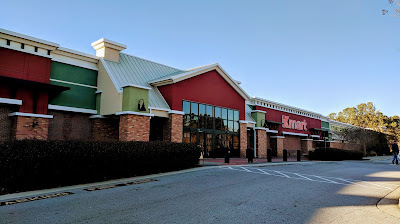 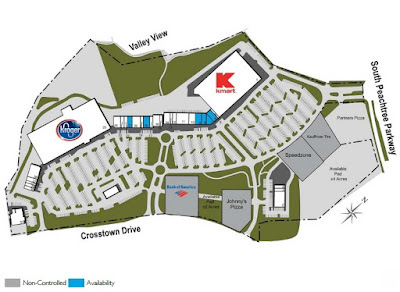 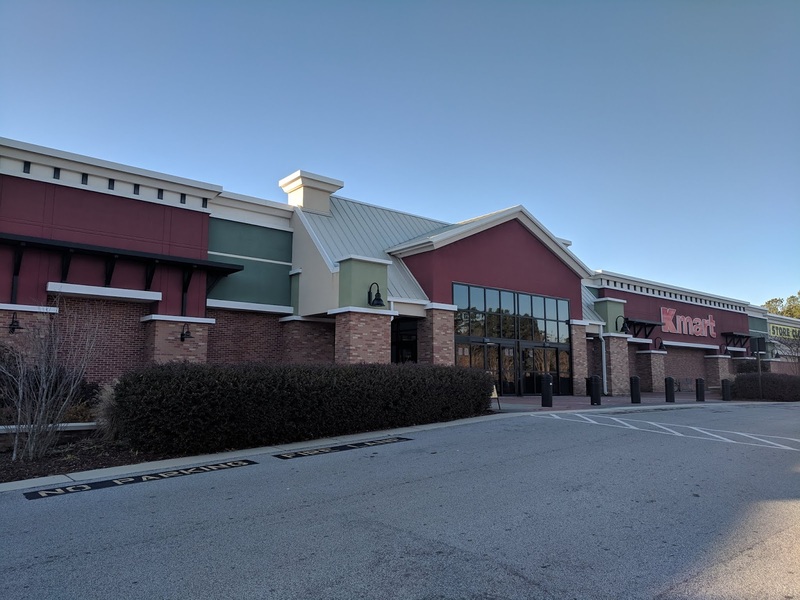 The other end of the shopping center has a large format Kroger store that was expanded around the time the shopping center was remodeled. This Kmart store was actually built in 1991 and is only 86,479 square feet. 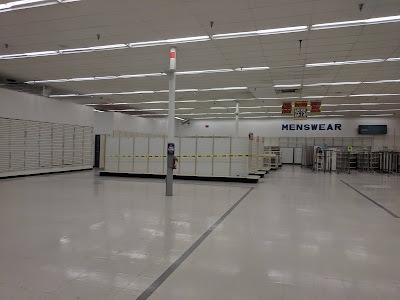 Unfortunately that modern, upscale look and renovations didn't transfer to the inside of the store. 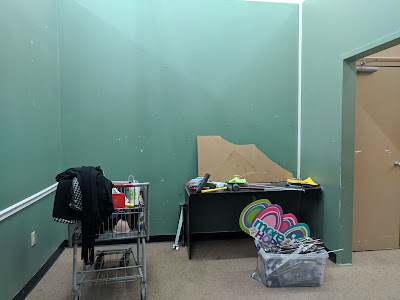 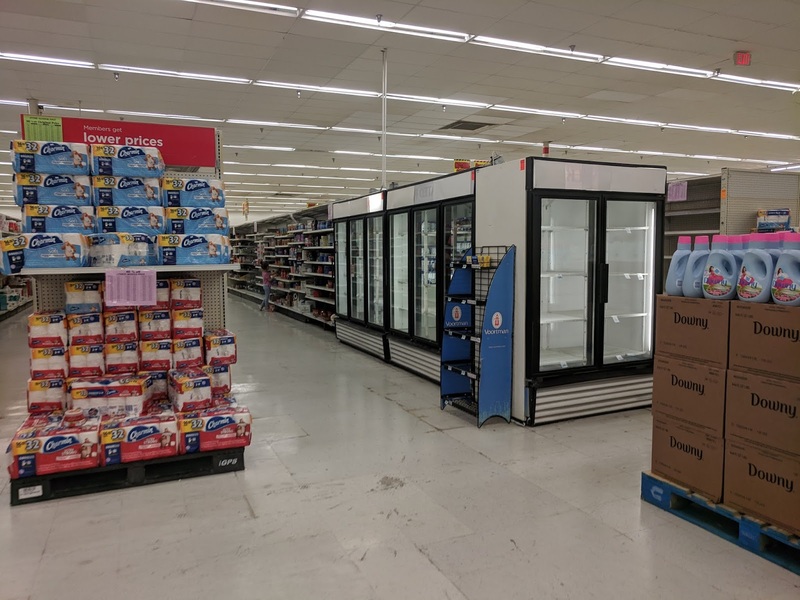 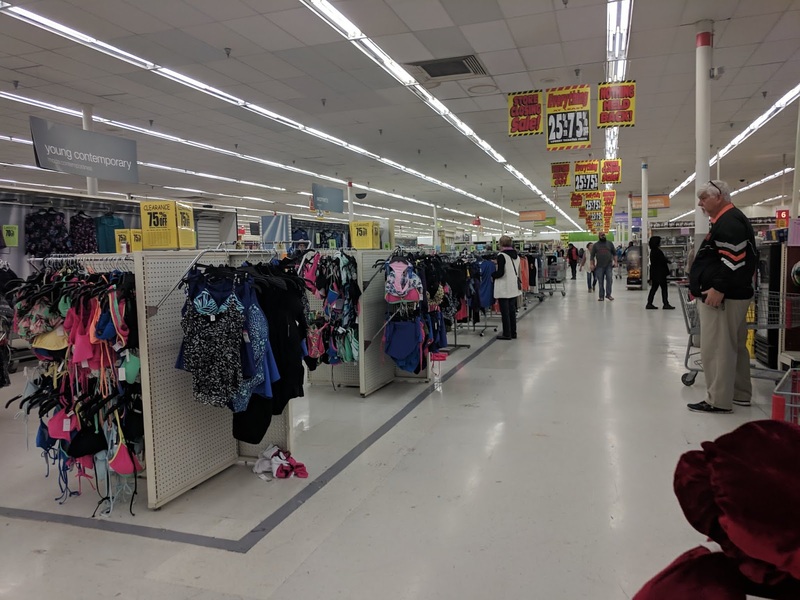 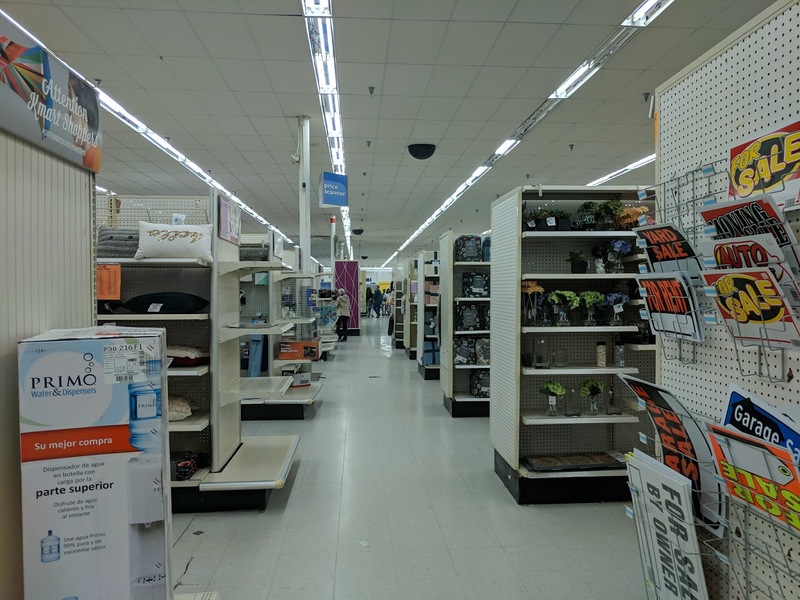 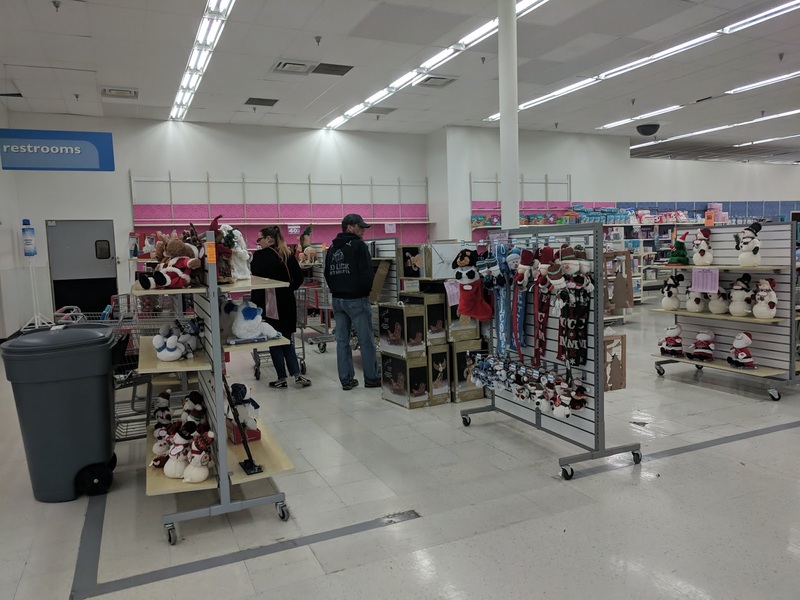 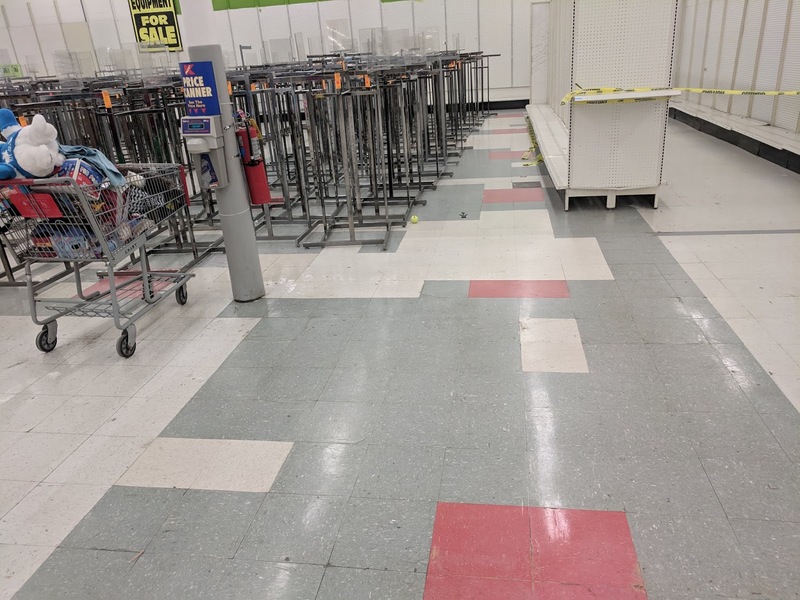 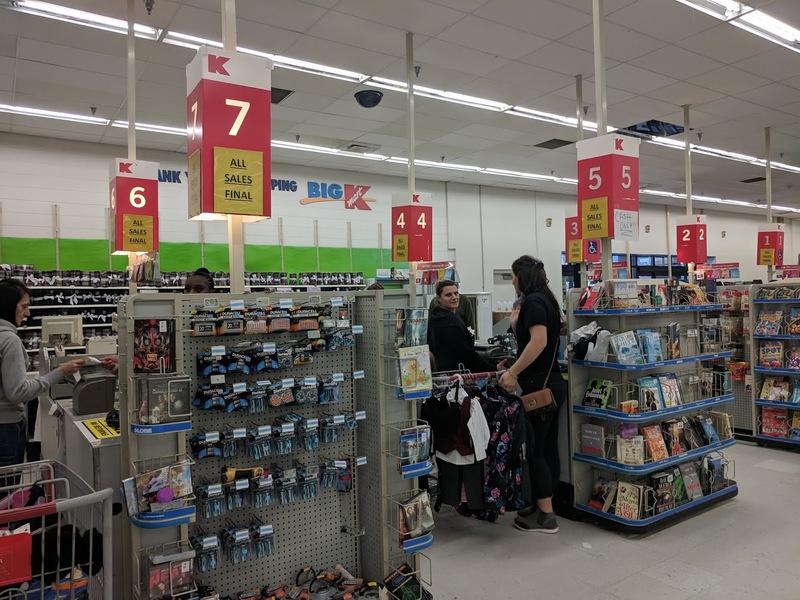 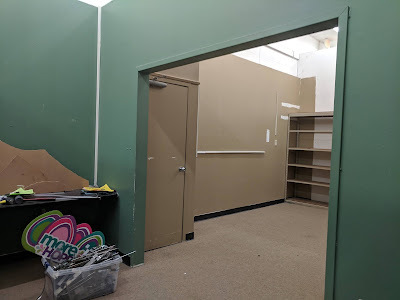 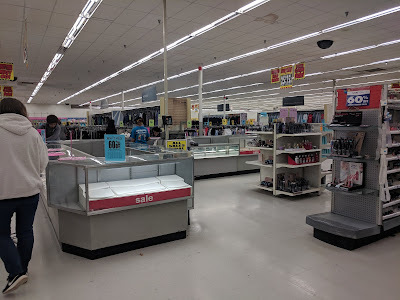 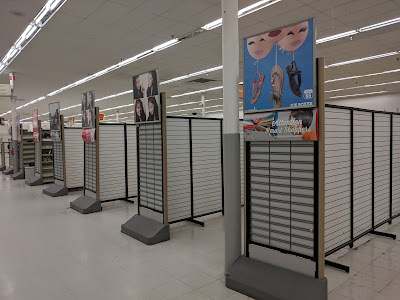 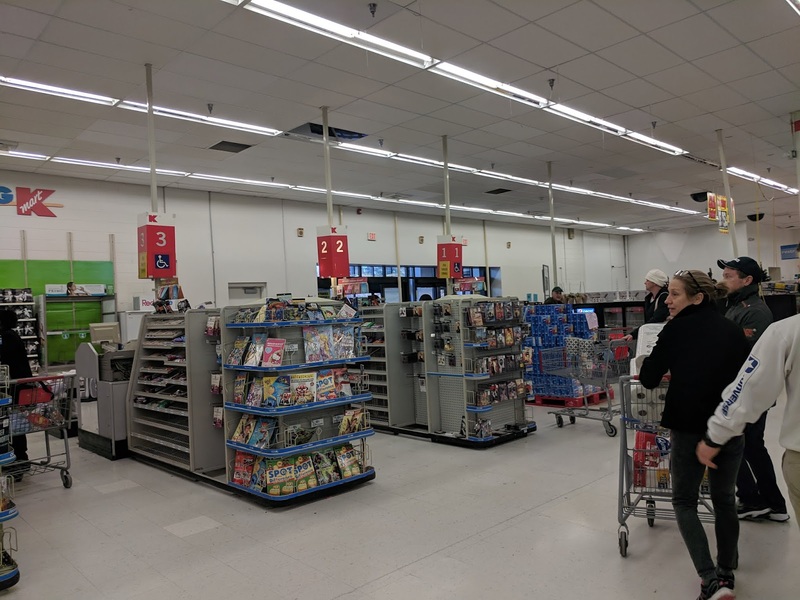 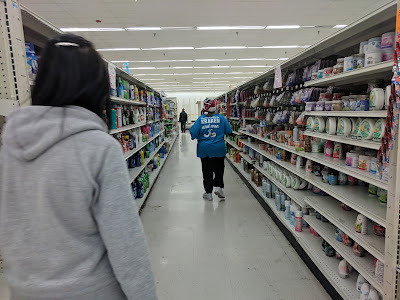 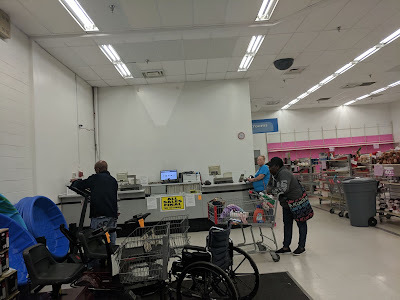 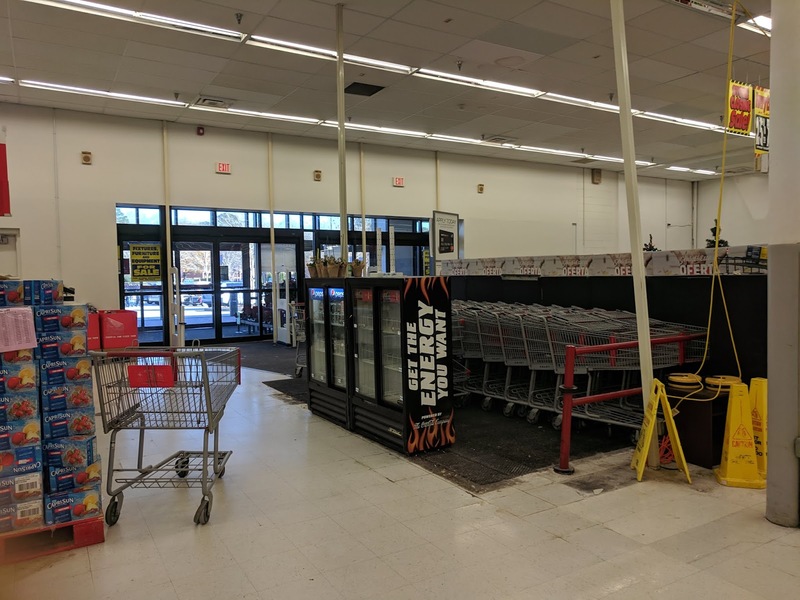 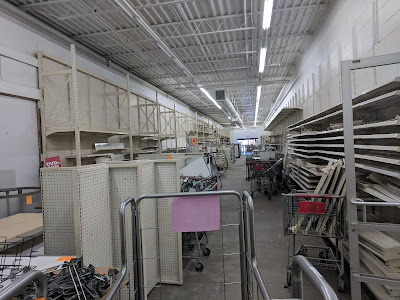 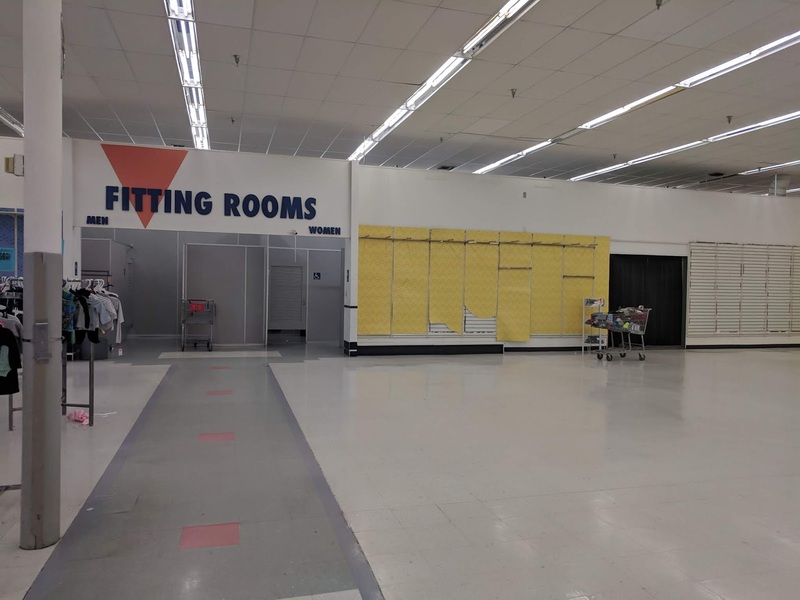 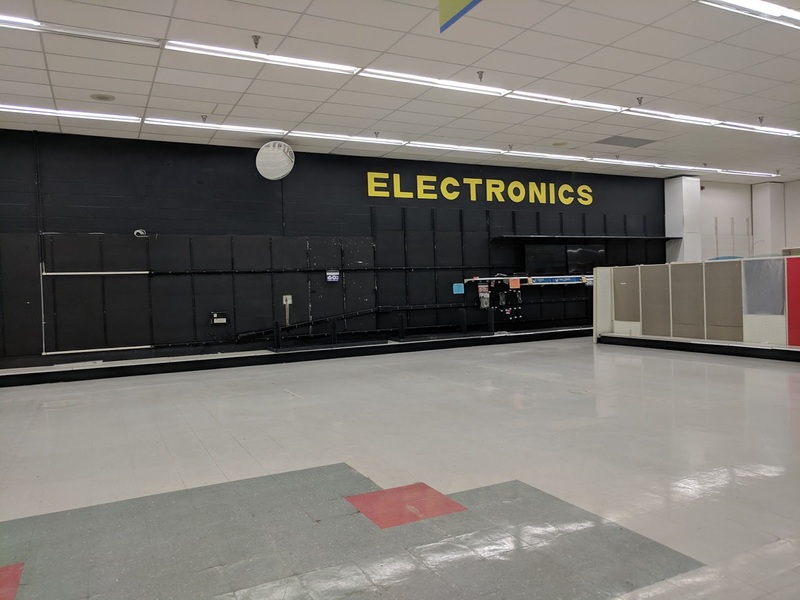 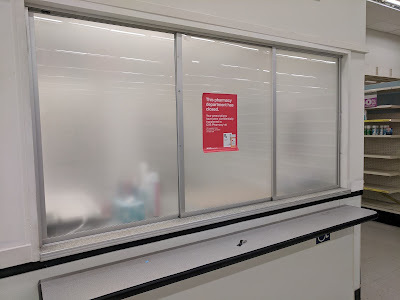 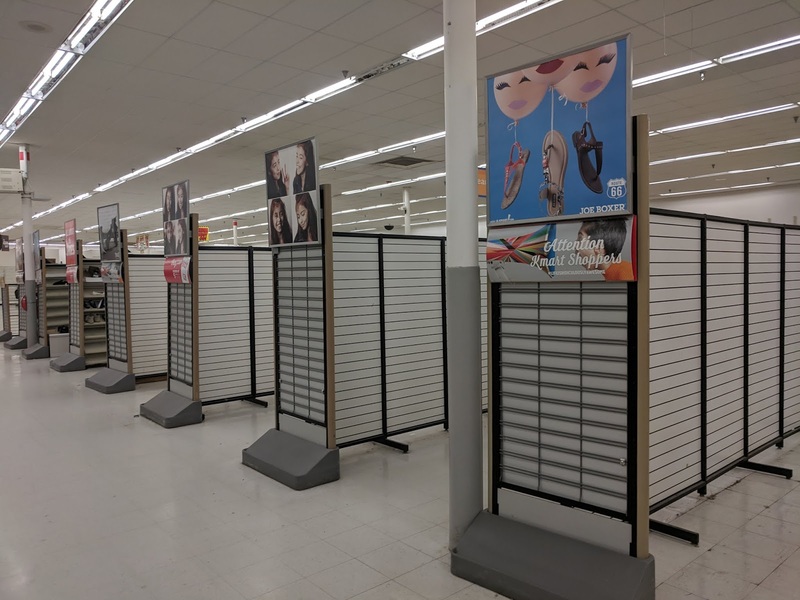 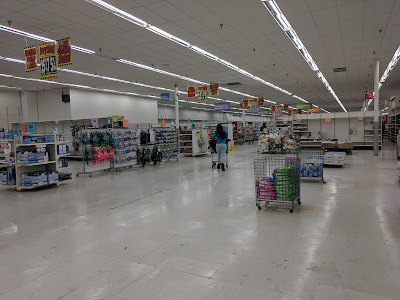 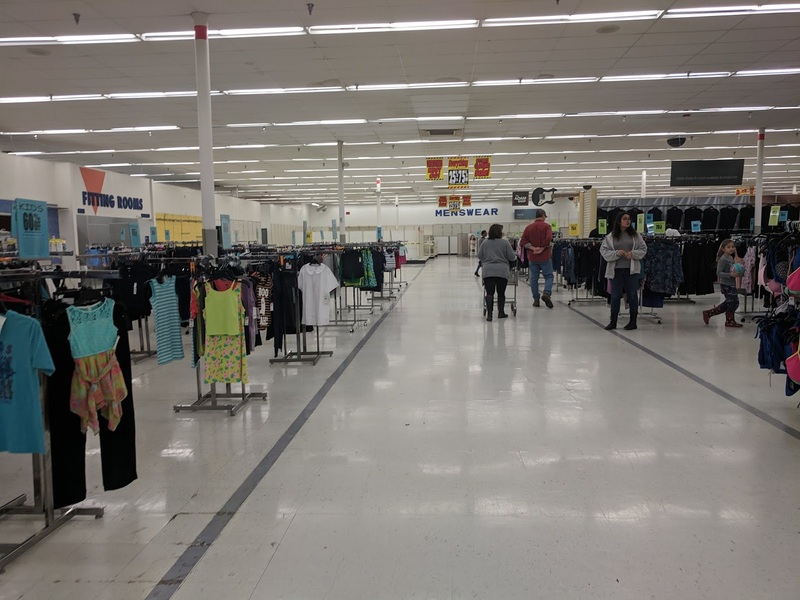 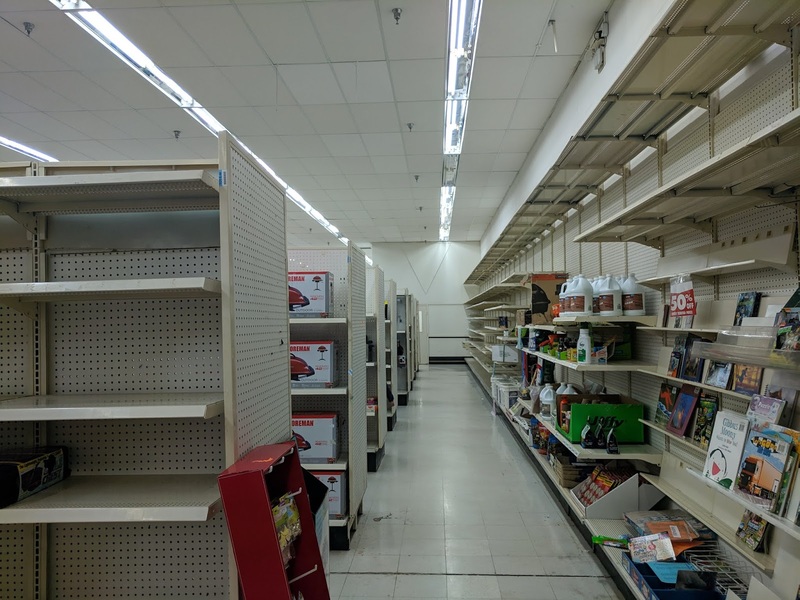 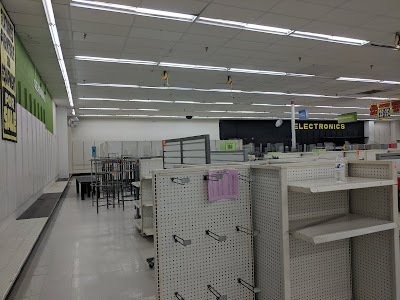 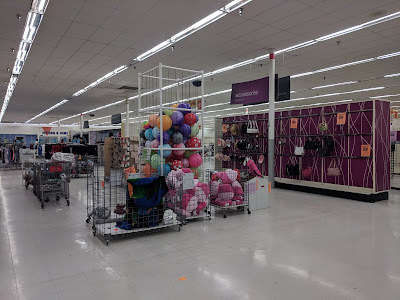 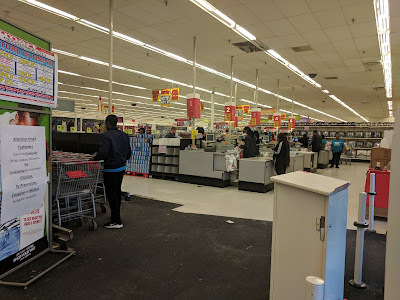 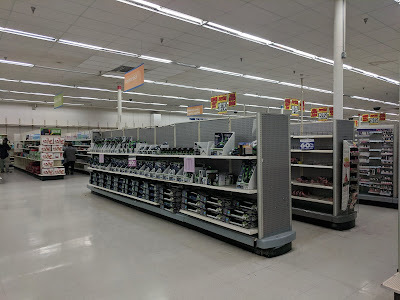 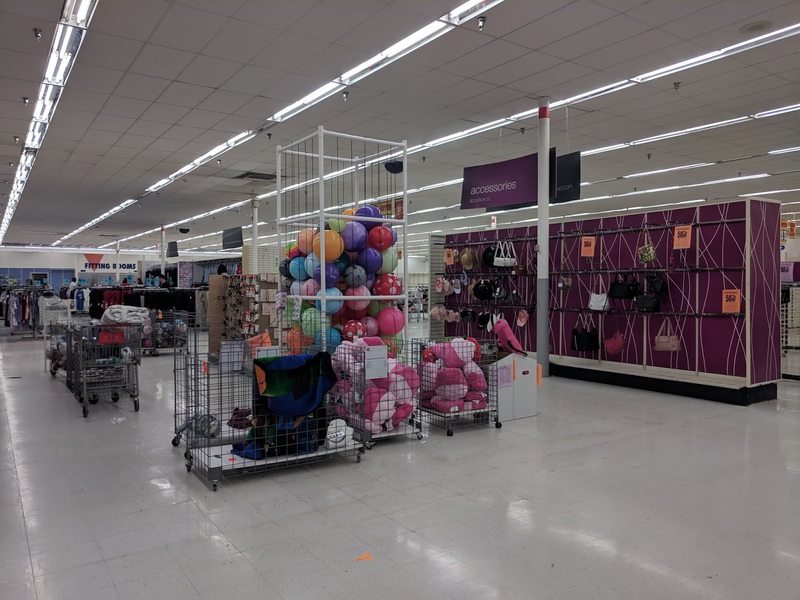 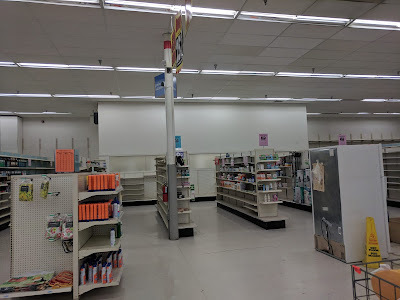 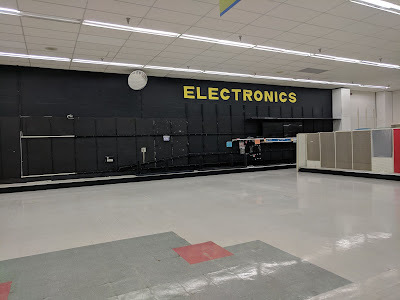 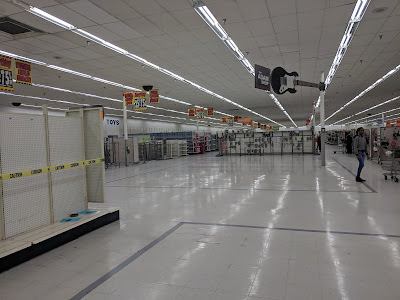 Taking a look at the inside of the store reveals any other typical non-remodeled Kmart that is stuck in the 90's. 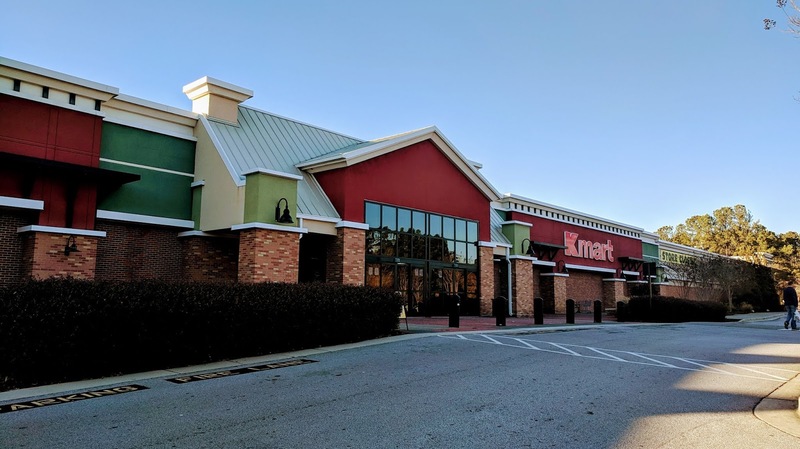 It features a former Olan Mills Portrait Studio and a large Garden center area. 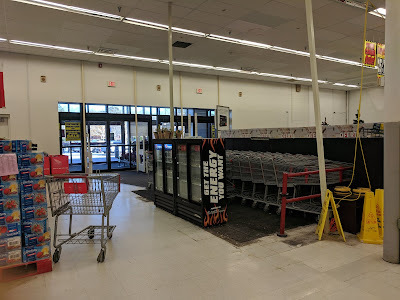 You can tell there used to be a K Cafe to the left when you walked in. 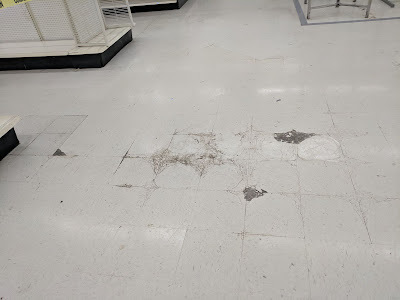 It is long gone and the only way to tell it was there is the floor tiles are a slightly different color and the restrooms are still there. 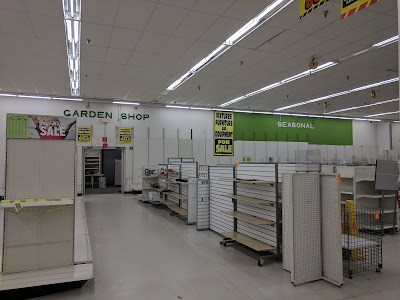 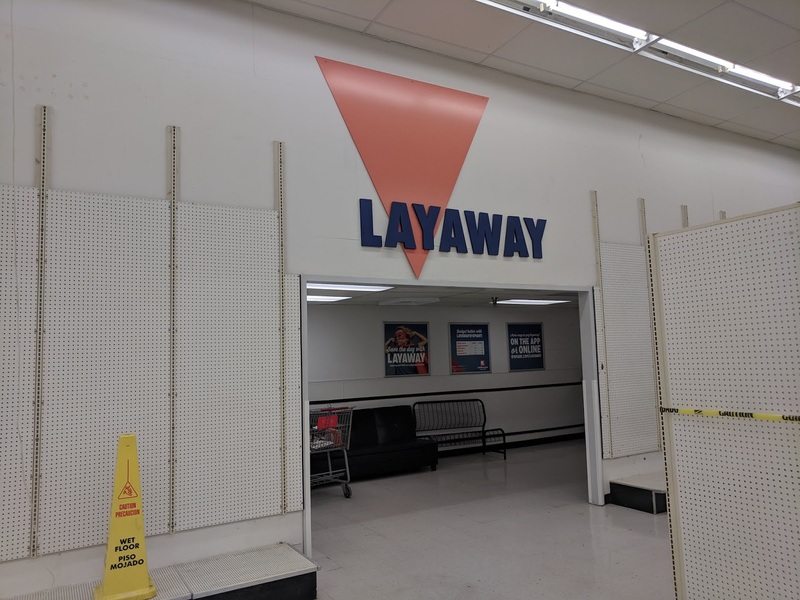 This Kmart has some ugly, homemade looking department signs on the walls. 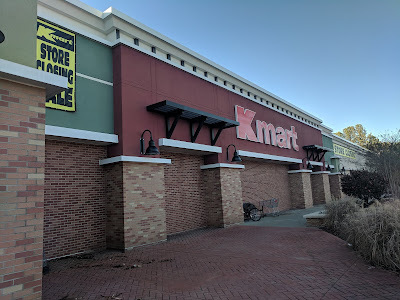 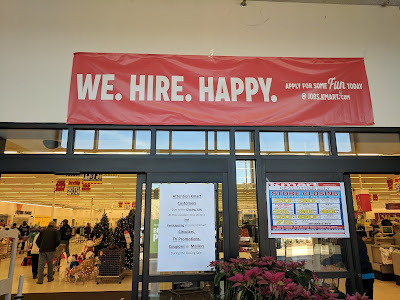 There isn't an Auto Center in this store, although there is a tire shop out in the parking lot that could have been a detached Kmart/Penske Auto Center. 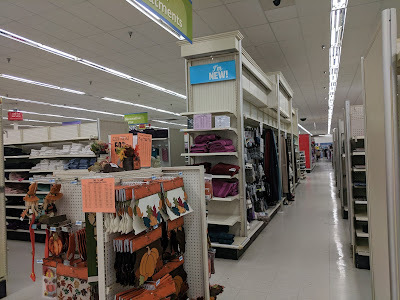 Other than that there's not too much special about this store. 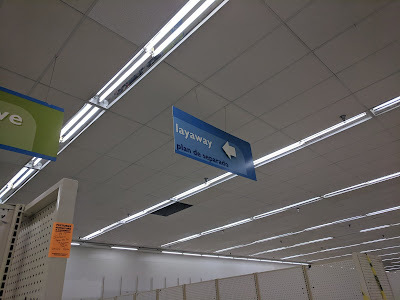 Enjoy the rest of the pictures and please leave any comments you have, including anyone that knows more about this particular location below. Also be sure to like us on Facebook and check out our sister site Retail World's YouTube page for retail and dead mall videos!